Last month I started the ‘great favour debate’ – to favour or not to favour. Some couples these days are opting out of the extra spend and not adding any favours to their guests’ place settings, whereas others are on the prowl for some truly unusual gifts to give their friends and family. Generally speaking, I find edible favours very popular with guests and rarely am I left gathering up unused favours after the wedding. In case you missed it, my last post shared some fun ideas for inedible favours that your guests will absolutely love. Today, I want to share some very tasty edible ideas. 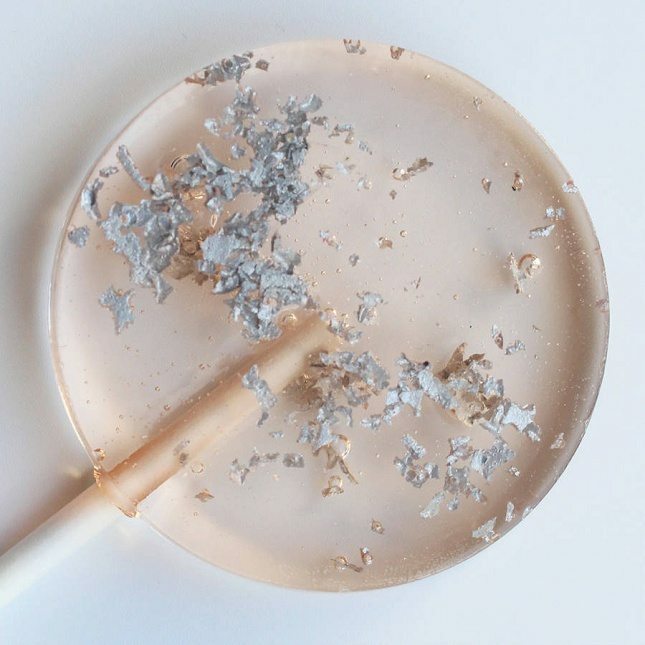 Another childhood favourite getting a grown-up makeover, lollipops are a fantastic favour to give your guests. Consider fun flavours and styles that work for your wedding design and season, and maybe add a little alcohol in there to get the party started! Buy at The Little Lollipop Shop. You can never go wrong with chocolate…okay, most of the time you can’t go wrong with chocolate. 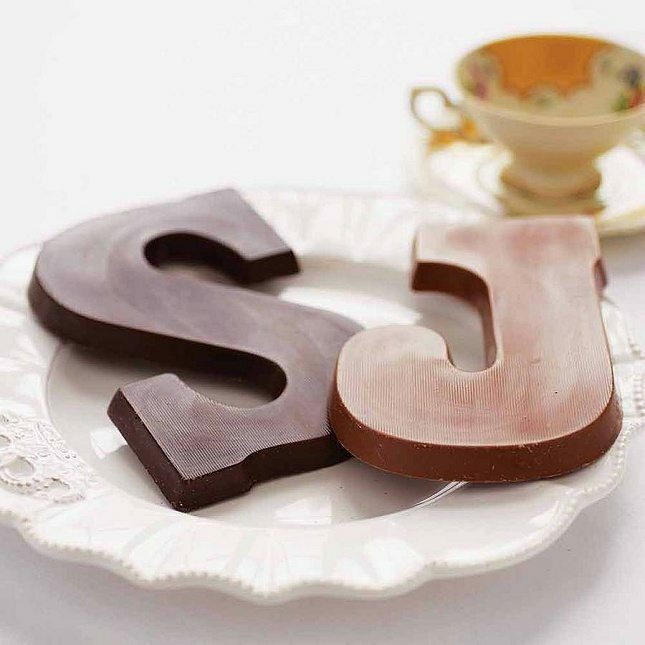 Get your initials or the first letter of your new shared surname in glorious cocoa form and your guests will be grateful for the sugar hit. Get yours at The Letteroom. 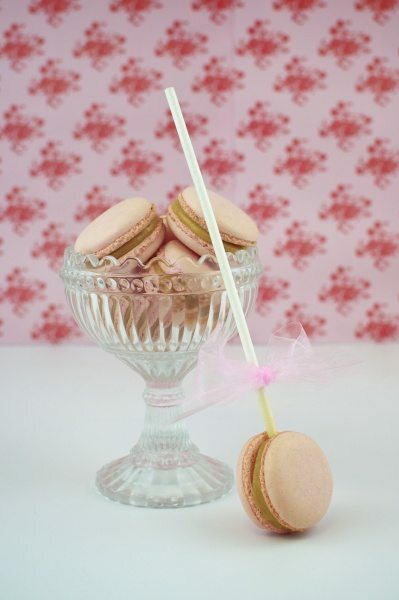 Move over cake pops, it’s macaron pops now. 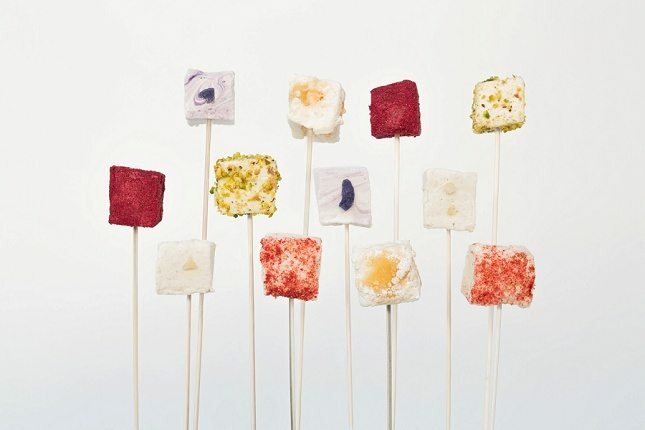 Your guests will love this elegant treat on a stick! Available at Cake Cetera. Marshmallows are so hot right now! You will be spoiled for choice with flavours and designs – give your guests something they probably haven’t had before! Find the perfect one at Cloud Nine. Sure, we’ve seen cookie favours before. But not like Nila Holden does them. 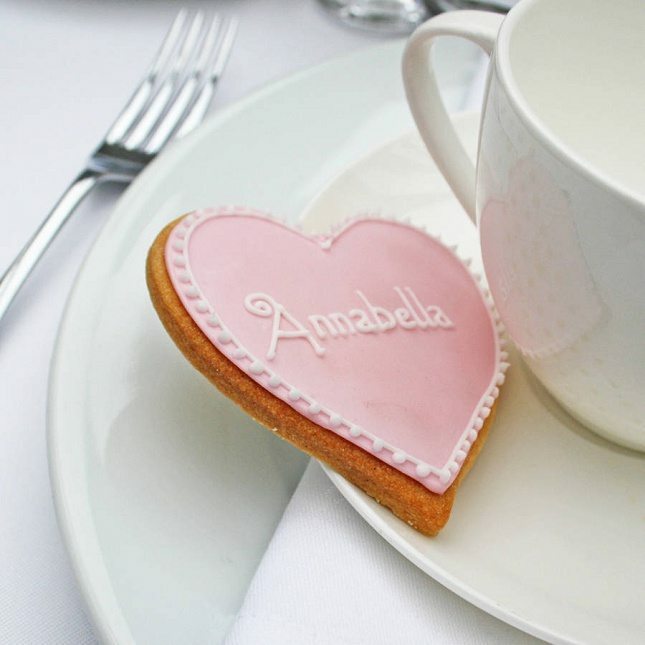 “Wow” your guests with a perfect biscuit to take home with one of her designs here. 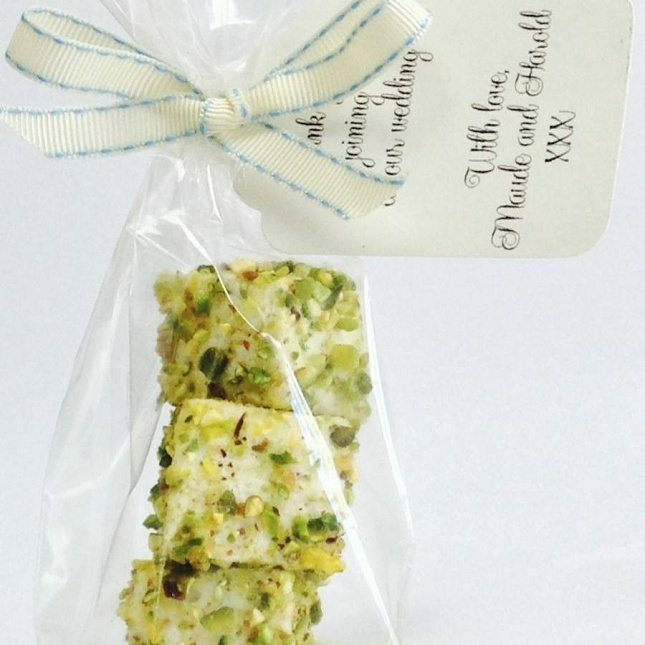 Get in touch to discuss the options you have for your Edible Wedding Favours.